Inaugurated in 1895, this legendary Belgium luxury hotel is the city's only 19th-century property still open for business. It was originally an afterthought - built by a brewer's family as an addition to their café and intended to promote their selection of beers on the famous Place de Brouckère. With its blend of ornate art nouveau and art deco architecture, this hotel is a historic monument and a reflection of the time period when Brussels saw the middle classes, successful merchants, and daring artists opting to have their homes built in the style that was in vogue - art nouveau - which marked the beginning of modern architectural achievement. Led by illustrious Belgian architect Victor Horta and relying on esteemed furniture designer Serrurier-Bovynd, and the jeweler Philippe Wolfers for inspiration, architects began for the first time to design a more modern city. Brussels is now considered the capital of art nouveau, and its many art nouveau-inspired structures are recognized as "world heritage" by UNESCO. This vibrant style is viewed throughout the entire city and easily glimpsed at Hotel Metropole. 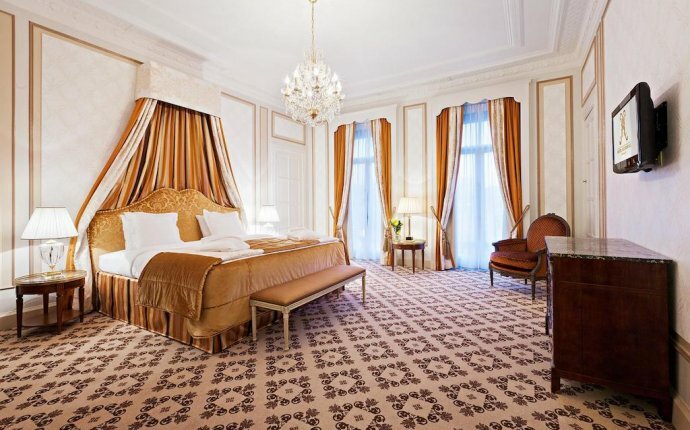 Today, Hotel Metropole boasts the grandest hotel setting in Brussels. The main entrance mirrors French Renaissance frivolity and is paired with an empire-style reception hall replete with gold stained-glass windows that nod to the city's unique art-nouveau heritage. Glittering chandeliers, original features, and rooms that are a playful mix of art deco, art nouveau, and modern styles, create unrivaled beauty in the heart of this capital city. Add to this stunning eloquence the medieval splendor of the nearby Grand Place, fine antique stores, and famous galleries of the “place du Grand Sablon, ” and guests realize their travels have led them to a landmark setting.